That’s if there are any dots to connect, and it’s just a question of timing. 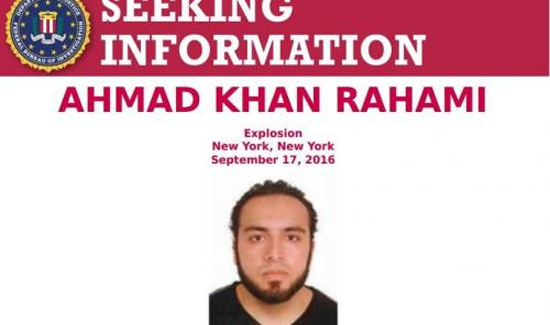 At any rate, reporting is really poor thus far and there’s virtually no information available except a possible person of interest ID’d by police and the FBI in New York as Ahmad Khan Raham. There was some kind of standoff at the suspect’s current of former address in New Jersey this morning. All we know for sure is that no one was killed, and there doesn’t even appear to be a large number of serious injuries. ISIS has allegedly taken credit for the knife attacks at the mall in Minnesota, but curiously has not done so for the explosions in New York and New Jersey.